As the Berlin wall fell, the umbilical cord binding the fates of Cuba and the Soviet Union disintegrated. To face the imminent economic collapse, the Cuban government announced a series of restrictive measures on the consumption of electricity and primary goods. With the private sector virtually non-existent and the country unable to afford many imports, products simply became unavailable. A year later, in 1991, Lesbia became pregnant. At that time, she and her husband Kiki lived in Matanzas. Their house was assigned to Kiki after he took part to a so-called “microbrigada” – a collective form of self-help, where workers organized in groups to build semi-prefabricated buildings for themselves and their colleagues. Kiki was a professor, and Lesbia an accountant at a poultry farm. Together, they would make 650 pesos per month, about $35. Faced with massive food shortages and needing nourishment during her nine months of pregnancy, Lesbia bought and butchered a sheep. Before the revolution, he meant. Before Fidel Castro provided Cubans with free education. From generation to generation, members of a family teach one another that it could be worse, that it had been worse. 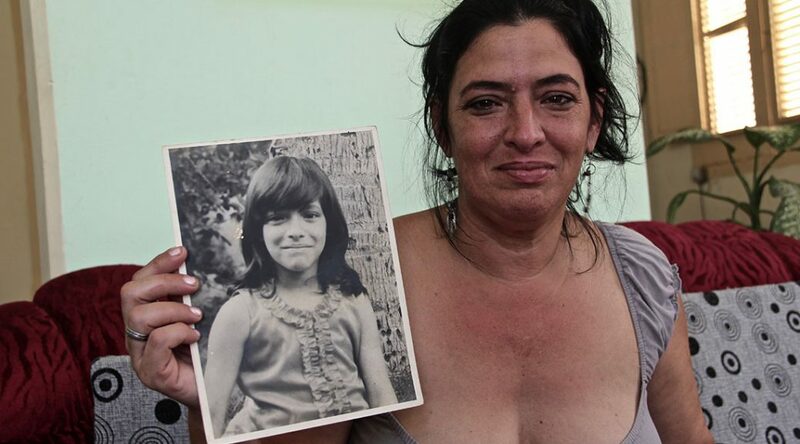 Today, sitting in the living room of her three-story house in the neighborhood of Vedado, it is now Lesbia who tells her daughter to appreciate the way things are. Sometimes, however, she finds it difficult. Lesbia imagines the state as a father, the Cuban people as his children. The government takes care of education and health services, but it simply cannot afford anything else. They can’t have more, she says. – “Do you have a dream?” I ask her. Her daughter Leslie, 25, doesn’t feel quite the same way. Eager to explore the world, she doesn’t understand the government’s travel restrictions. After all, what does the government get by limiting travel to other countries? “Yo solo quiero ir a conocèr el mundo,” says Leslie. I just want to get to know the world. Until five years ago, Cuban citizens had to apply for an exit visa to be able to travel, even on vacation. When Lesbia’s cousin got married in Cancùn, Mexico, she and her family couldn’t go to the wedding, even with all costs covered. The government didn’t grant them permission to leave the country. As part of President Raùl Castro’s plan of reforms, the government announced in 2013 that citizens needed only a renewed passport and a visa issued by the country of destination. However, a significant constraint still applies: visa and travel expenses. The average salary of a Cuban is 30 CUC (Cuba Convertible Pesos) – the equivalent of about $30 – per month, so restriction-free travelling is still an illusion for most. If Lesbia’s generation has had decades to get used to the idiosyncrasies of the Cuban political system, Leslie’s generation has not – at least yet. She and her peers don’t want another revolution, but they do seek economic and social changes. For Leslie, this means mobility, access to information, an open internet, and the chance to earn more money. Even though the desire to travel and work abroad represents a recurring thought, Leslie is afraid to leave her family and miss her parents as they grow old. She was only 17 when she first introduced them to her boyfriend, Jorge, who has been living with them for seven years. Leslie met Jorge in Matanzas. He was a taxi-driver and she needed a ride home after a party. They ended up talking until 6 a.m. A year later, Jorgito became part of the family. To this day, the four of them make all the decisions together. They are a team. Just around the corner from the Alèmans, lives Niria de la Osa. She and her husband were born in the late 1940s, and unlike many younger Cubans, speak perfect English. They’ve been living in their spacious four-bedroom apartment since right after the 1959 Revolution, when the thriving real estate market took the form of apartment trading. Through the permuta system, people could legally exchange properties, getting around the strict rules of buying and selling. “After the revolution, everything became easier for us,” says Niria, who was only 12 when Fidel took power in 1959. Free healthcare, free education, new apartment. Today, she and her husband live with their son and his 18-year-old twins. Dayana and Daniela – smart, motivated and in their first year of university – dream of travelling the world and getting their master’s degree abroad to eventually come back to Cuba. They were taught that, despite all the difficulties, family always comes first. Proud of their roots and identity, they represent a new generation who seeks for a greater openness, but who’s surprisingly less eager to leave and more willing to stay. – “What do you see in your future?” I ask them. – “Family. Family means our past, present and future,” they say almost in unison. – “Aquí no se ocultan secretos, y si se ocultan se descubren rápido.” Secrets aren’t hidden here, and if they are, they are discovered quickly. Certainly, life in the States sparks their curiosity. A spotty 30-minute Wi-Fi connection along the seaside promenade, the Malècon, makes them wonder about life outside of the island, where their peers in Spain, Mexico and the United States have free access to Google, Facebook and YouTube. As the soon-to-be post-Castro era approaches – President Raul Castro will step down on April 19 – attitudes shift. And yet, between independence and stability, Dayana and Daniela choose the only reality they know. They choose stability, they choose Cuba.